Whitetail World Forums » INFO ON NEW FORUM » Making the Move... » The New Forum Information Select A Forum INFO ON NEW FORUM » Making the Move... It's All About The Whitetails » Whitetails "Catch All" » Got Pictures? Got Video? Got Questions? » Food Plots WTW Member Section » News and Notes » Introductions » Member Hunt Journals » Contests and Challenges » Classifieds » The Spot for Jokes and Games Some "Other" Stuff » Equipment / Gear / Reviews » Turkey Talk » Other Critters » FAQ's and "How To's"
Effective August 1st, 2012 Whitetailworld will be moving to a new forum. At this time the current threads/posts/information will not transfer over. We are working on getting this resolved, but in the meantime this board will be used only as a reference. This will be the only thread that you will be able to post to. You will use your "old" name and login information if you need to post here or PLEASE register on the new forums. You can do this by Clicking this link or typing in http://www.forums.whitetailworld.com). During the registration process feel free to use your old name or a new one. You will notice that in the new forum there are many more options. This is one of the reasons that we decided to go to the new more robust and powerful forum platform. 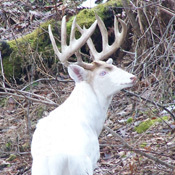 If you have questions regarding this "old" forum post it here or email me at johnd@whitetailworld.com. You can also call me at 608-728-4453. It is our hope that the transition goes smoothly. We are sure there will be some bumps, but we will work them out! If you have questions regarding the new forum post those on there. Thanks in advance for your patience on this transition! Since the change I am not able to send a reply to make a daily entry into the contest. Not on ether old/new forum. The give aways for august will be based on the number of posts on the new forum. I may set up a thread to enter as well, but for sure for now each post = 1 entry. Do we need to re-register? My current user name and password will not work on the new forms. Bought boat for bowfishing.Ready to fling some arrows.